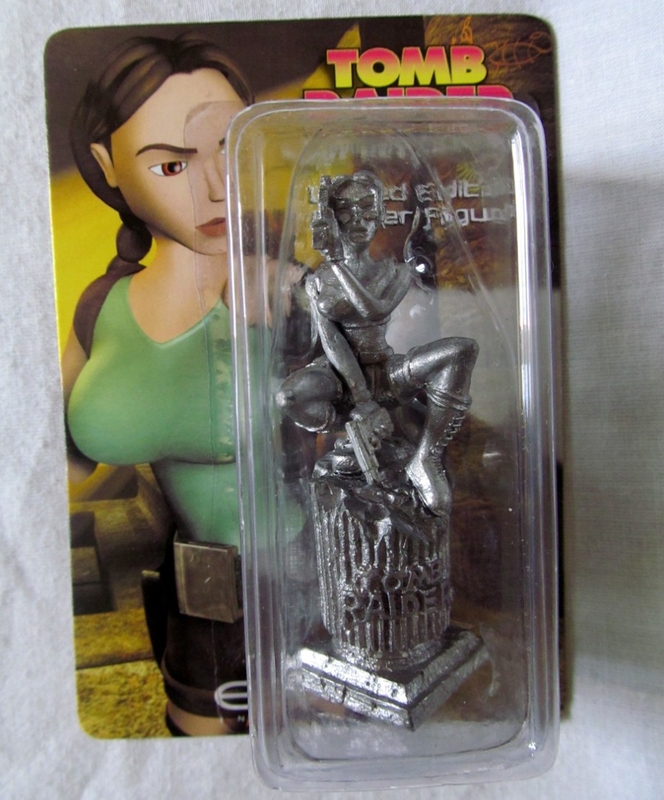 TOMB RAIDER THE LAST REVELATION LIMITED EDITION PEWTER FIGURE This limited edition pewter figure of Lara was released in 1999 in the US, packaged with the Millennium Edition of Tomb Raider: The Last Revelation. 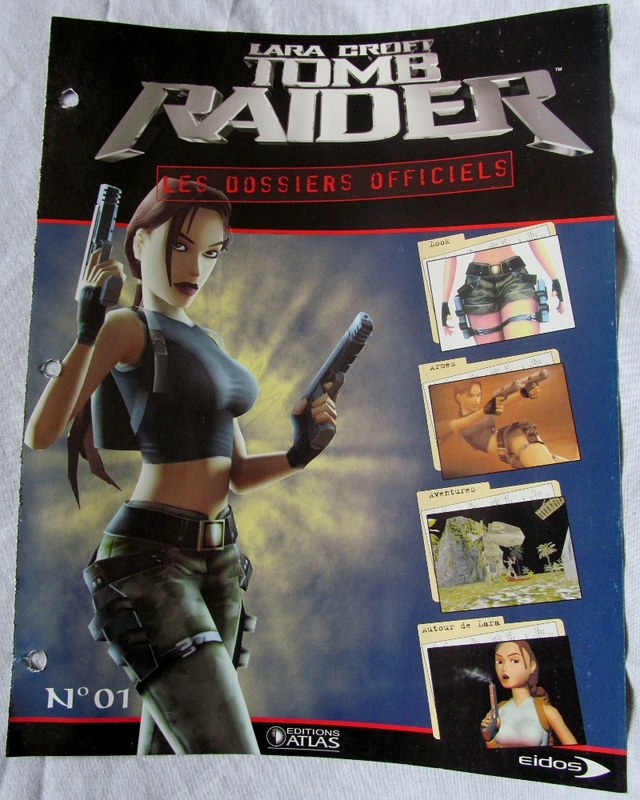 Lara's pose on the pewter figure is directly based on the cover artwork of one of the Top Cow Tomb Raider comics. 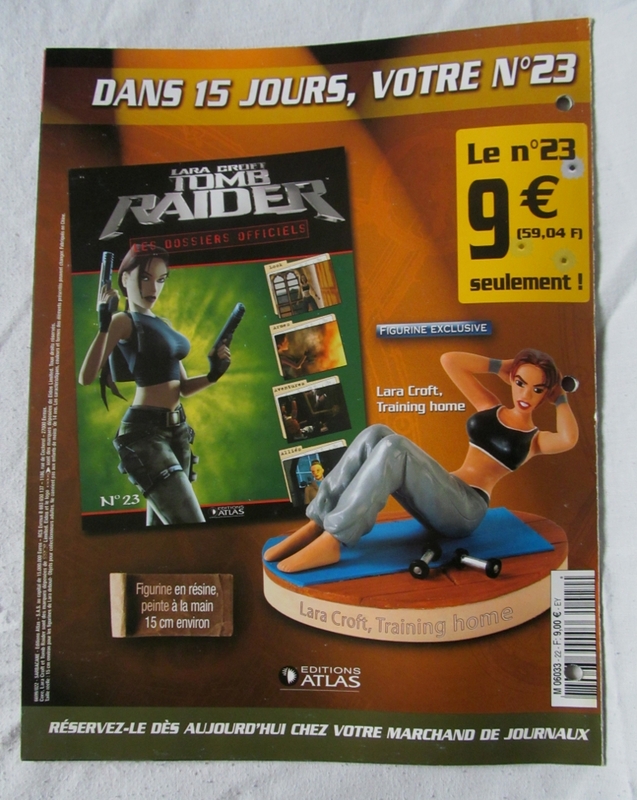 The pewter figure was also released with different packaging artwork, instead using the cover artwork from the US Sega Dreamcast version of Tomb Raider: The Last Revelation. 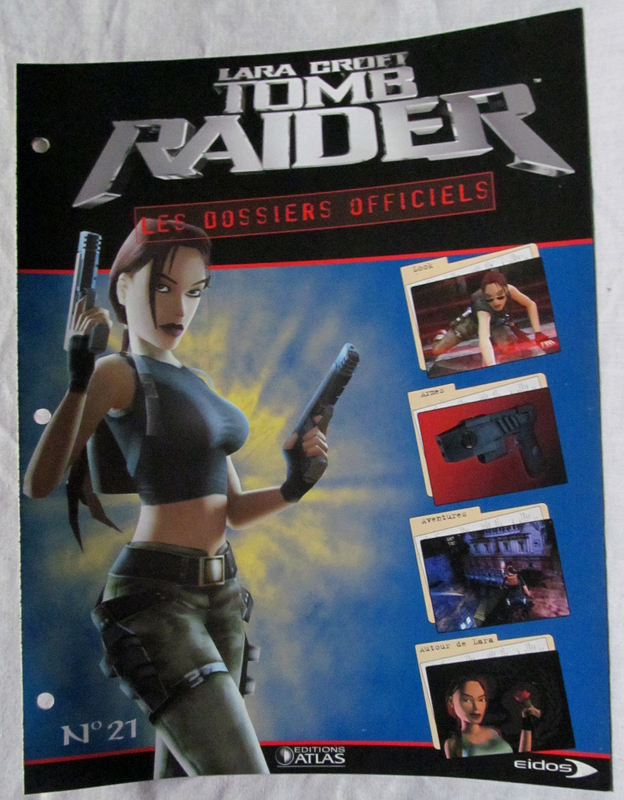 This variation was not included with Millennium Editions of the game. 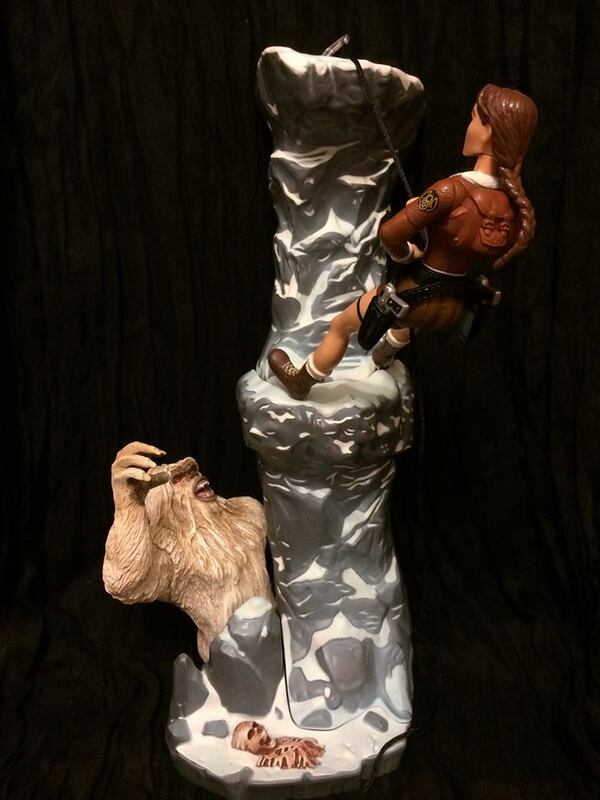 LARA CROFT CONQUERS THE LEGENDARY YETI (by Melbelg) 6" Playmates Toys figure. 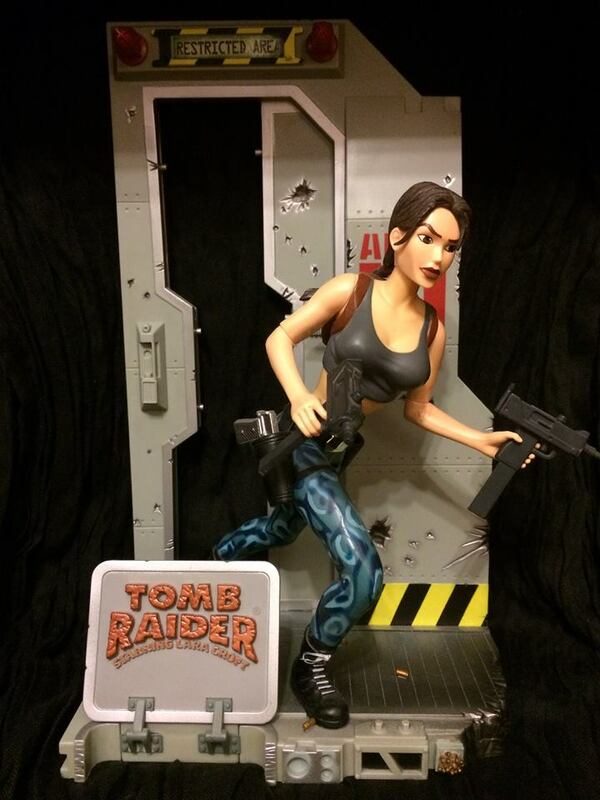 LARA IN AREA 51 OUTFIT (by Melbelg) 9" Playmates Toys figure. 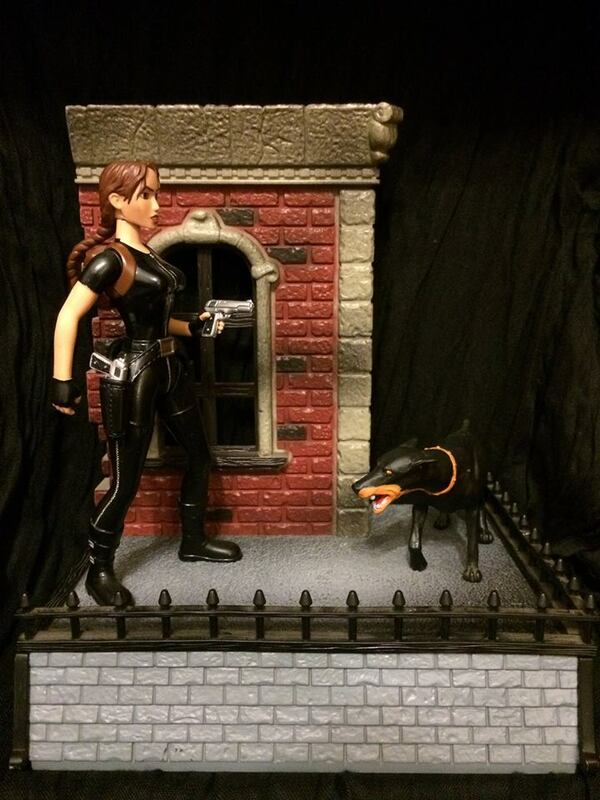 LARA CROFT ENCOUNTERS THE FEROCIOUS DOBERMAN (by Melbelg) 6" Playmates Toys figure. 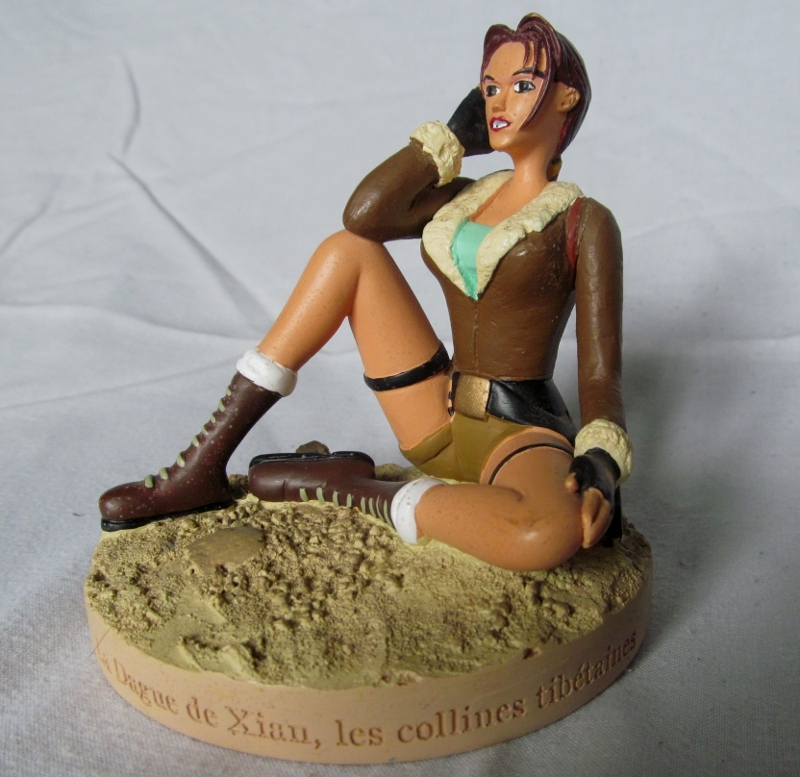 LARA IN JUNGLE OUTFIT (by Melbelg) 9" Playmates Toys figure. 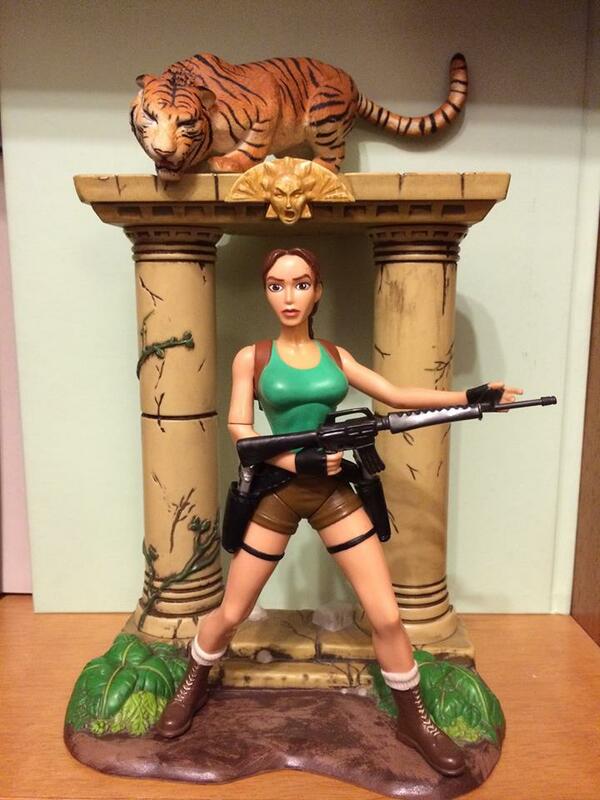 LARA CROFT ENCOUNTERS THE SAVAGE BENGAL TIGER (by Melbelg) 6" Playmates Toys figure. 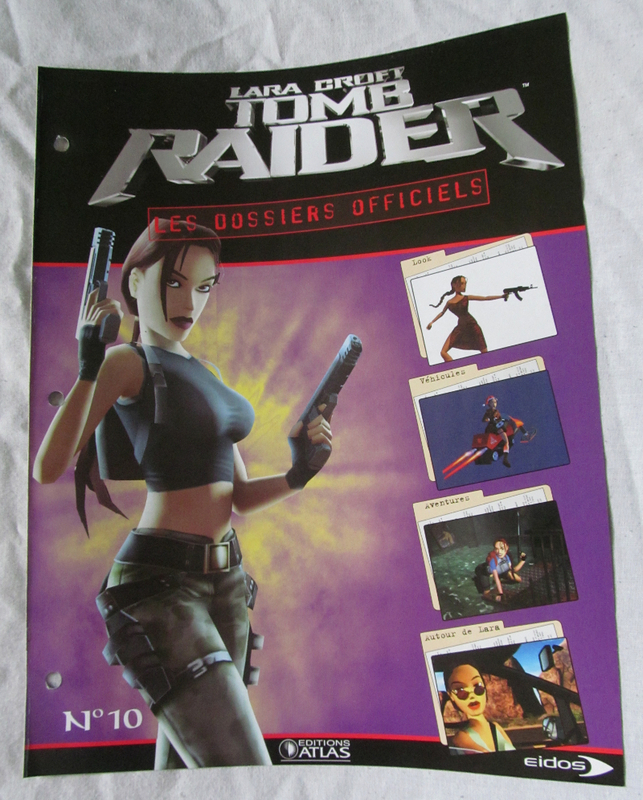 LARA IN WET SUIT (by Melbelg) 9" Playmates Toys figure. 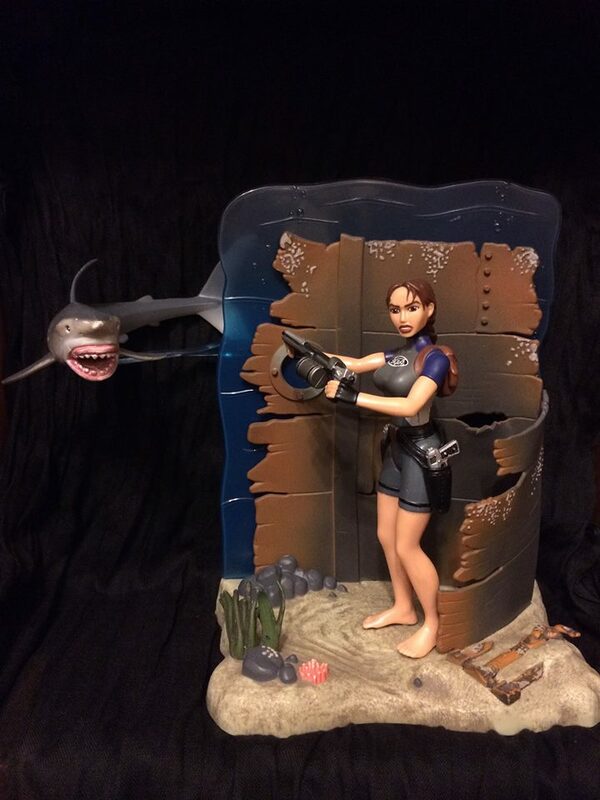 LARA CROFT FACES THE DEADLY GREAT WHITE (by Melbelg) 6" Playmates Toys figure. 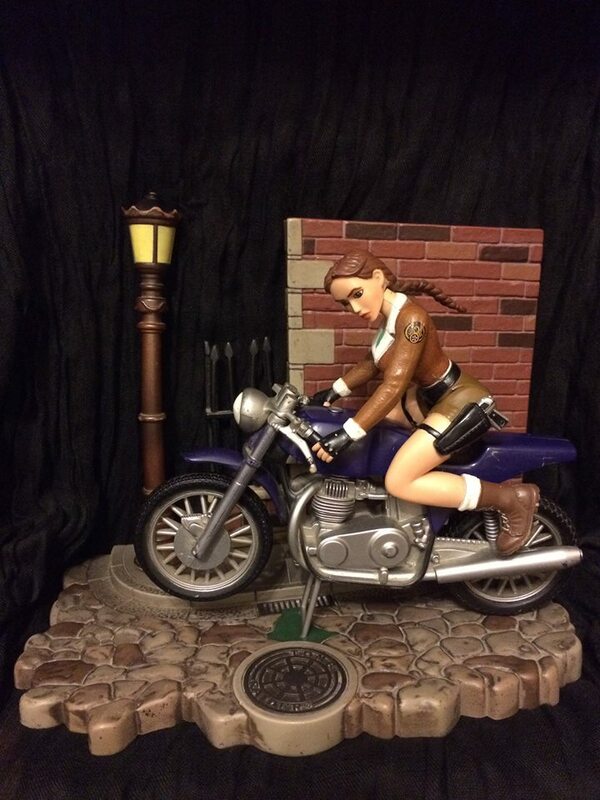 LARA CROFT ON HER STREET ASSAULT MOTORBIKE (by Melbelg) 6" Playmates Toys figure. 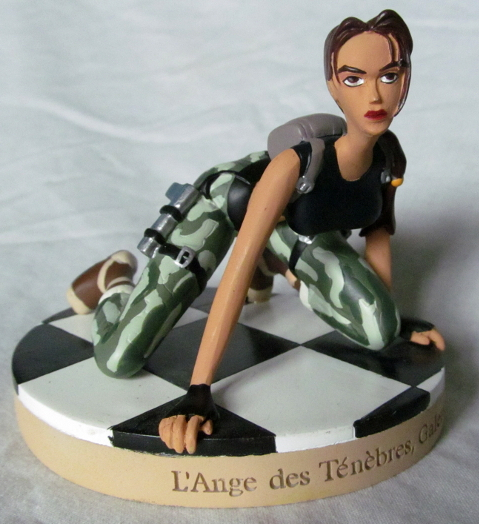 LARA CROFT ANGEL OF DARKNESS BOBBLE HEAD Released in 2003. 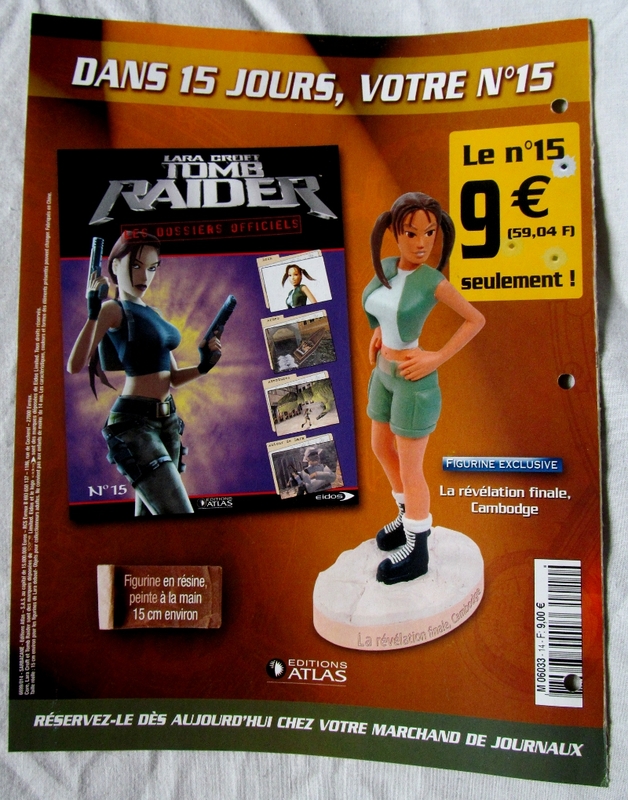 ROCK CANDY LARA CROFT FIGURE Released in 2017 at the price of £12.99. Comes with transparent stand. 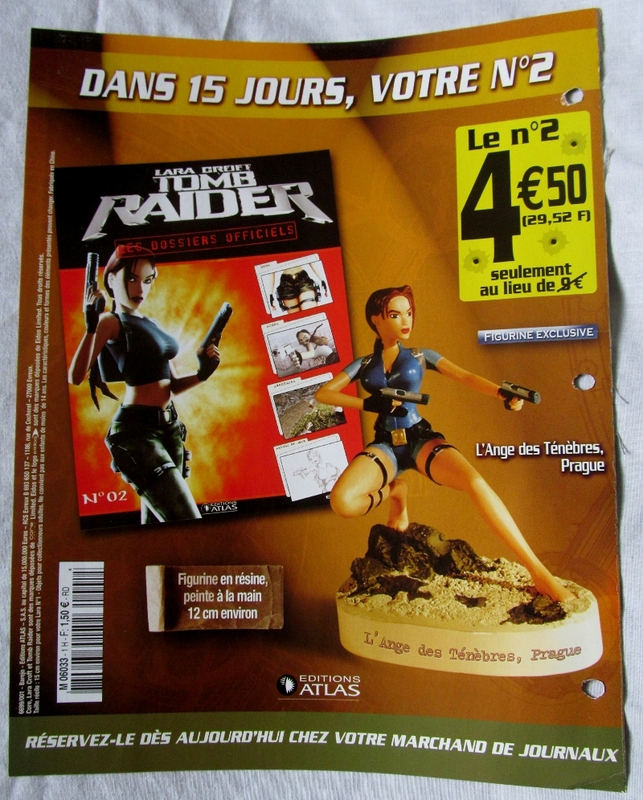 LARA CROFT IN BOMBER JACKET FIGURE Exclusive to Toyfare magazine and released in the US in April 2000. Made by Playmates. 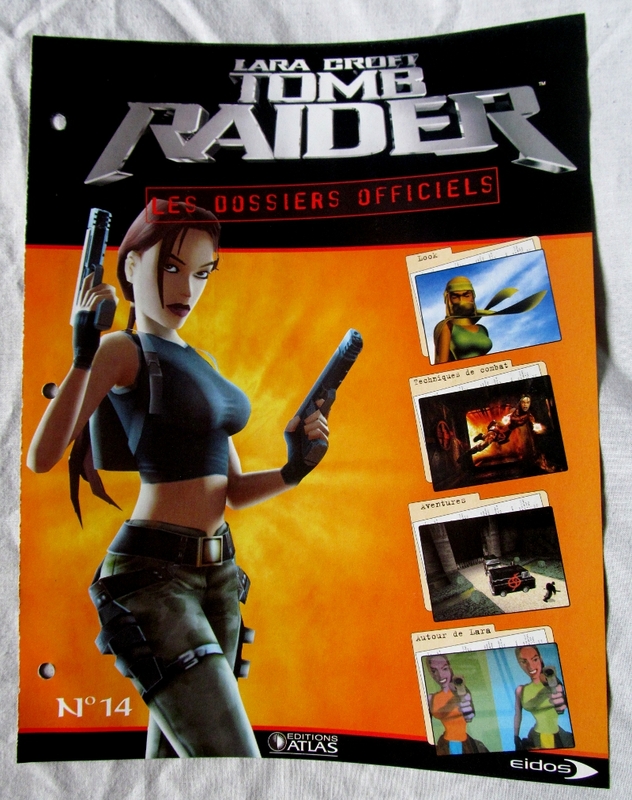 NESTLE LARA CROFT MODEL (BOMBER JACKET) One of two Nestle Lara models found inside boxes of Nestle cereals including Shreddies, Cheerios and Nesquick. They were released in 2001. POP! 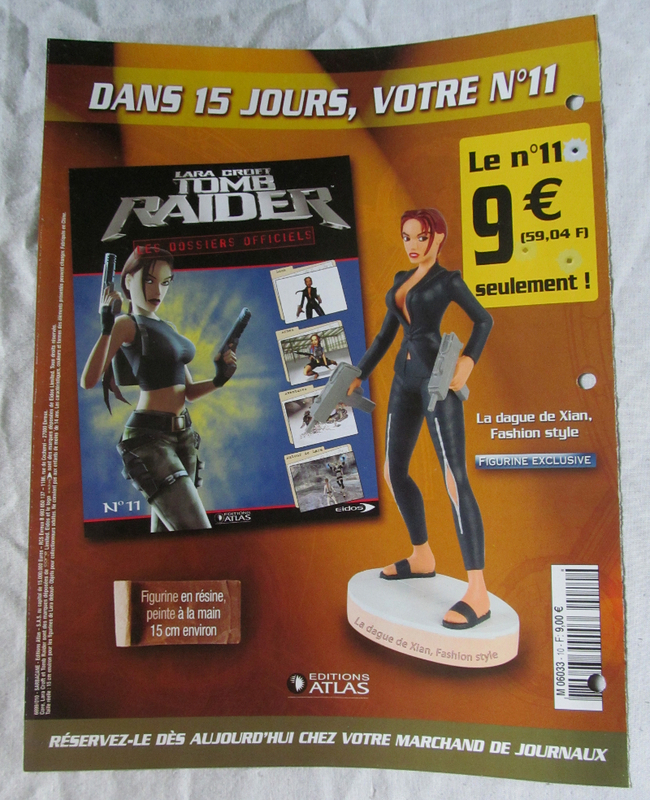 Vinyl Lara Croft Released in 2017 at the price of £9.99. 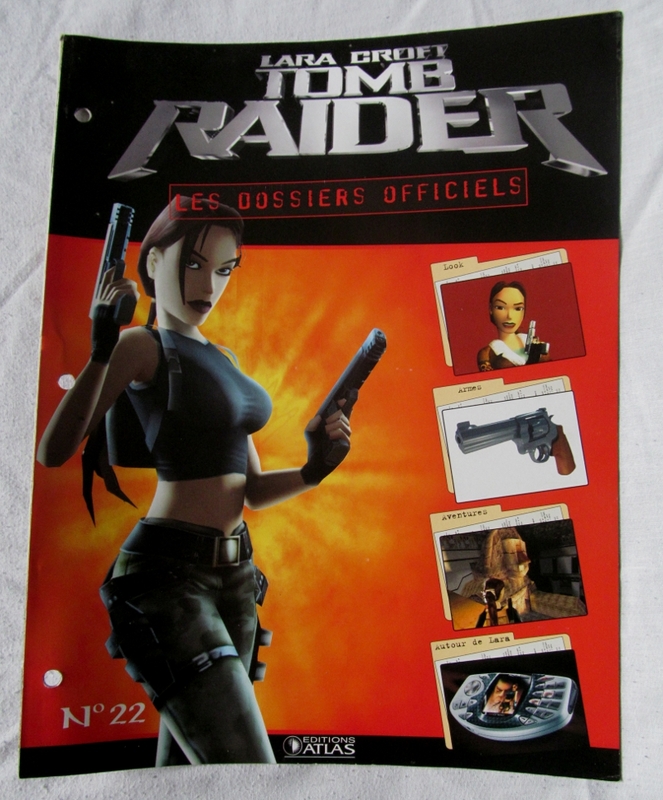 TOMB RAIDER II GOLDEN MASK OF TORNARSUK COMPETITION PRIZE One of less than fifteen (possibly three in total) competition prizes given away in 1999, each made of 9k gold. One of these masks is still in the possession of Phil Campbell who was designer on the expansion packs. 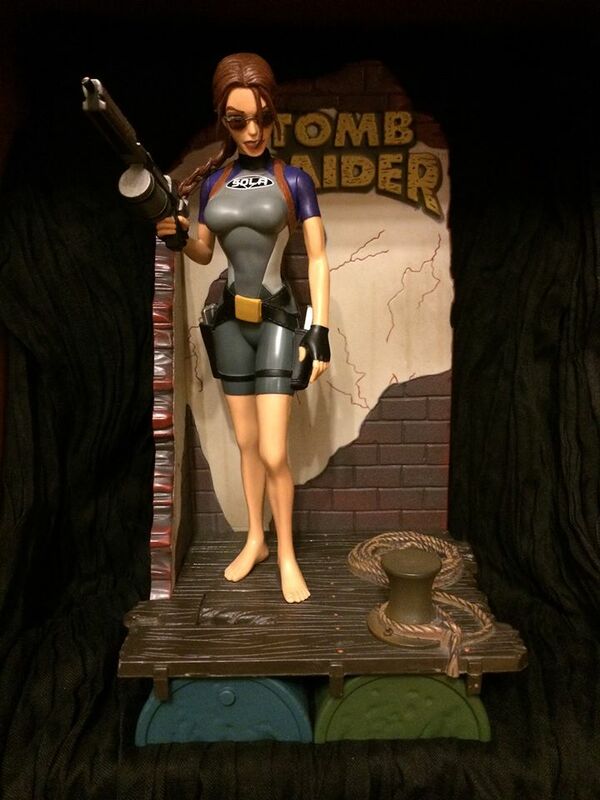 TOMB RAIDER THE ANGEL OF DARKNESS STATUE Released in Germany in 2002, this statue was designed by Studio Oxmox and Eidos Interactive. 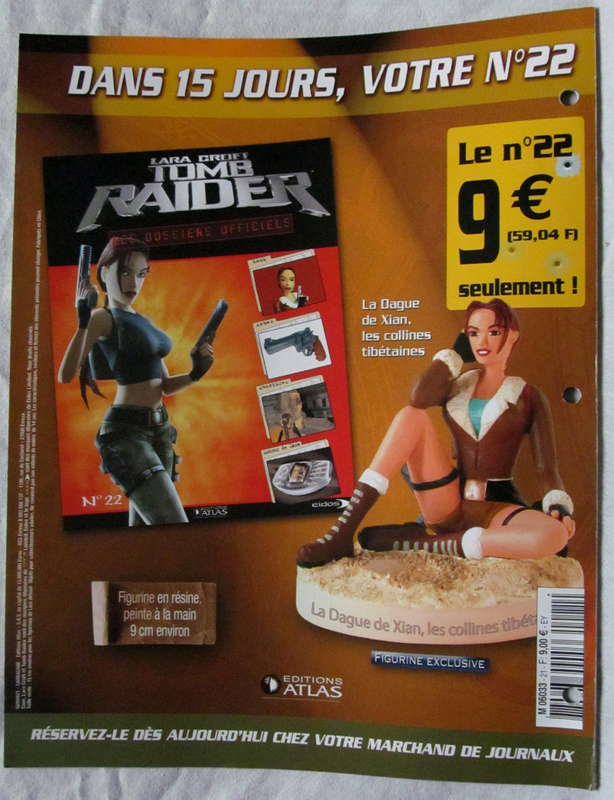 TOMB RAIDER THE OFFICIAL FACT FILES - EXTRA FIGURINE This model was an additional figurine offered from Editions Atlas during the run of the Official Fact Files. 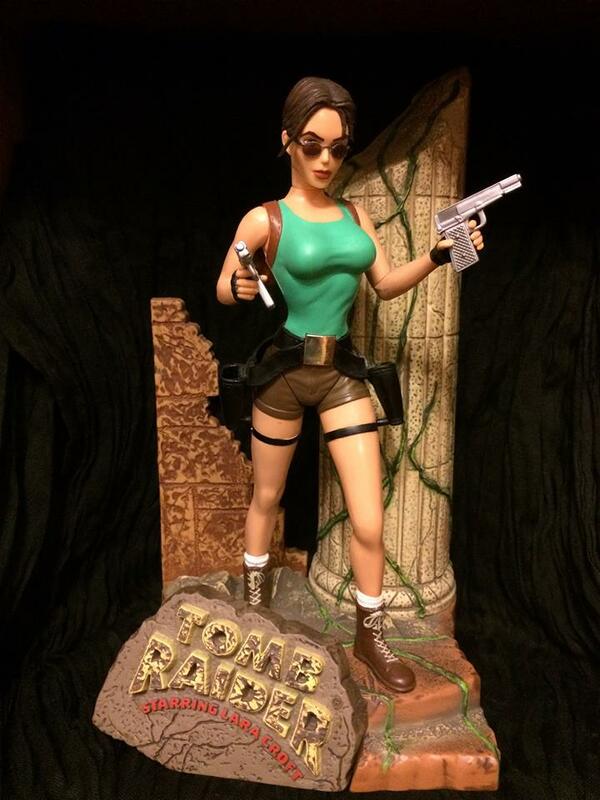 VARNER LARA CROFT STATUE One of three Lara Croft statues created by Varner. This one dates to 2000 and is limited to 4,500.